Don’t worry, we’re not. 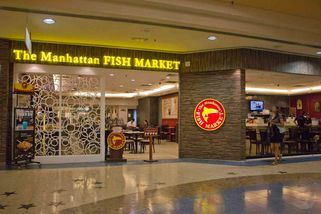 Let’s go the Manhattan Fish Market and feast on some of its mouth-watering fish-based delicacies. Without needing any formal introduction, the Manhattan Fish Market restaurant stands proud and tall as one of the most sought-after fish-based restaurants, apart from those seafood restaurants. 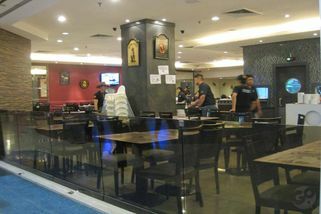 With more than 15 outlets in Malaysia, the restaurant proves that they serve fresh and delicious fish-based cuisine like no other. Select from their broad range of main courses like Spaghetti in the Sea, Spicy Tuna Spaghetti, Mediterranean Baked Fish, Grilled Glory Dory and its signature dish, Manhattan Fish ‘N Chips. If you prefer more on overall seafood dishes, The Manhattan Fish Market does serve other fine seafood-based dishes like Manhattan Flaming Prawns, Scallops Mussels Skewers, Shrimp Aglio Olio and even, delicious Caesar Salad. Hence, bring along your families and friends to the nearest outlet to get a taste of The Manhattan Fish Market’s finest.